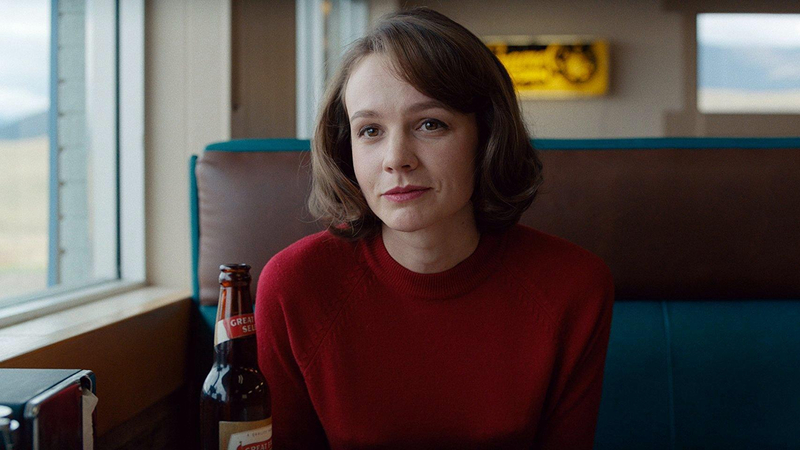 There Will Be Blood and Little Miss Sunshine actor Paul Dano turns his hand to directing in Wildlife, which opened the Critics’ Week sidebar at this year’s Cannes Film Festival. Starring Jake Gyllenhaal and Carey Mulligan, Dano’s directorial debut is a sincere and often handsome portrait of American suburban melancholia. It’s 1960: a “heck of a year” according to the radio. The Brinson family have just moved into their small house in Great Falls, Montana, a town bisected by a railway line and with a forest fire looming in the distance. Dad Jerry (Gyllenhaal) works at the local golf club and Jeanette (Mulligan) is a perfectly coiffed housewife and mom to 14-year-old Joe (Ed Oxenbould). Joe attends his new school, listens to his dad’s advice and tries out for the football team, but there’s smoke on the family horizon too. At first, their life is parodically close to being an idyll. They all share the same first initial and the very first shot introduces dad and son throwing a football in the yard and both having a whale of a time. Dano constructs the period with panache from the heft of telephones to the chunkiness of the school bus seats. The surfaces are clean and shiny in the kitchenette, but when Jerry loses his job at the golf club his bonhomie deserts him and Jeanette begins to find her brave-face routine stretched to breaking point. Joe is the only one trying to keep the family together as Jeanette gets herself a job as a swimming instructor and Jerry, following a beery interlude of depression heads off to fight the fire that is inching ever closer. In his absence, Jeanette flails as she attempts to regain control of a life that has been frequently capsized by the vagaries of her temperamental husband. She is grasping at straws, one of which comes in the shape of used-car salesman Mr. Miller (the reliably brilliant Bill Camp), a wealthy divorcee who might be a possible escape route or yet another trap. Mulligan and Gyllenhaal are both convincing in their complex, flawed and erratic roles, but with Jerry’s absence, it’s Mulligan who does the heavy lifting, acting-wise. Jeanette is an intelligent woman, disappointed by what the world, Jerry and Montana have to offer and yet also keenly aware that the alternatives might not be any better. Essentially giving us his point-of-view, Oxenbould also delivers a cleverly understated performance of a slightly gormless boy who is appalled by his families inexorable self-harm. His growth in Wildlife is subtly done as he takes over his parents’ roles, fixing the toilet and getting a job with a portrait photographer. Dano proves he has an eye as a director. His compositions seem taken from the paintings of Edward Hopper – especially when we see the household through the large picture windows – and there’s something of the Depression era photography of Walker Evans in the sight of the poor and indigent who are being used as firefighters. Unfortunately, the pace is similarly static. Each scene has a beginning, a middle and an end and any event in the movie – the opening of a letter – seems unnecessarily endless. It might be that the actor Dano baulks at taking the scissors to any of the performances of his fellow thespians, or that screenwriters Dano and Zoe Kazan are too faithful to Richard Ford’s source novel but this results in a deadening of effect that renders the melancholy monotonous. That said, these are lives of quiet desperation, which aspire to a wildness that is sadly out of reach.